What a great idea for a sweater. This way, if you make a mess, just flip the sweater inside-out and you're clean again (well, you look clean anyway). I had never knit with Peace Fleece before and I really liked it. I think I see a Peace Fleece outer-wear sweater in my size in my future! 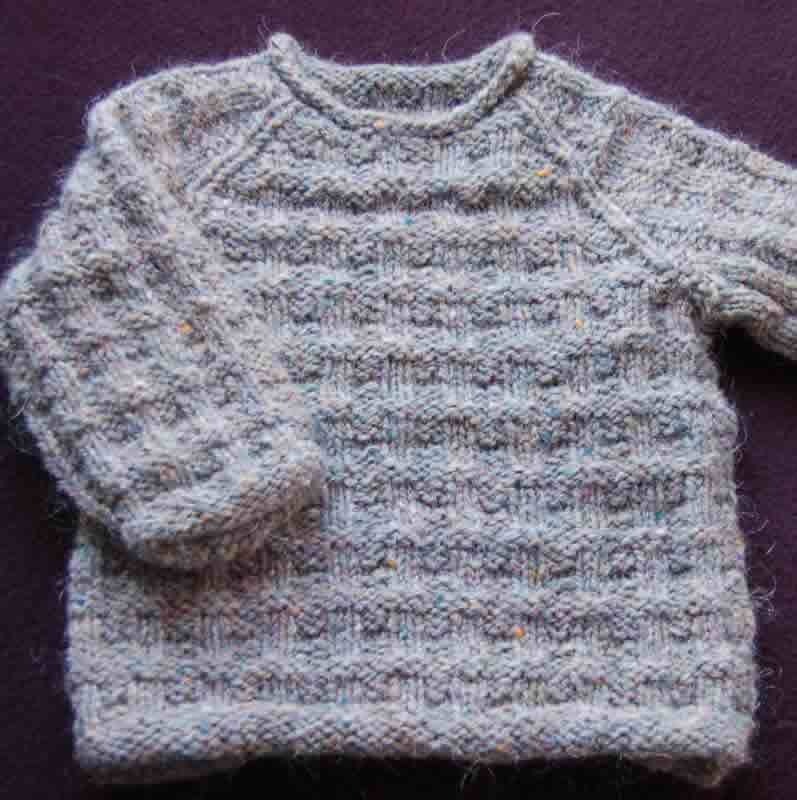 The knitted sweater softened so much with a hot soaking. Claudia showed us some of her tried and true Peace Fleece garments and they looked and felt great after years of good use. 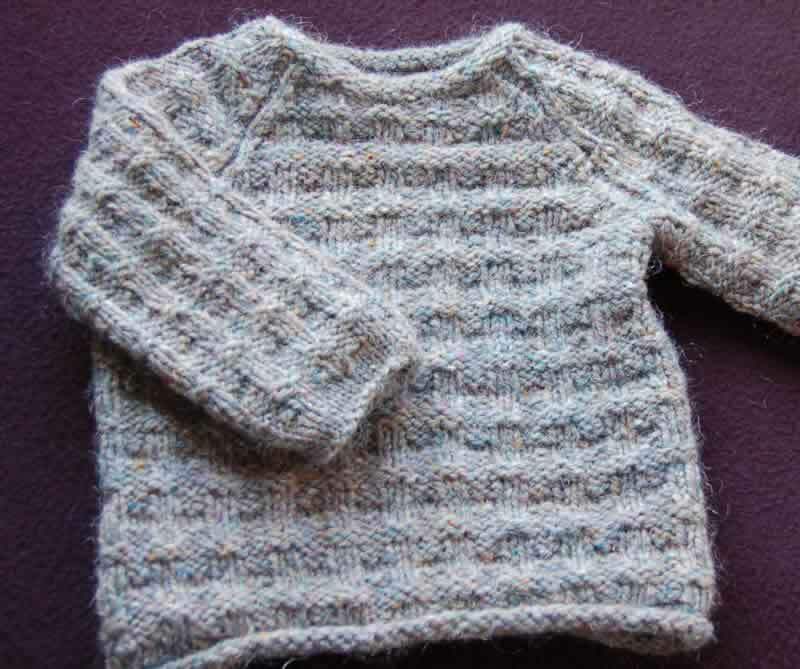 Comments: Fun and quick pattern to knit. I love that you can turn it inside-out and it still looks great!